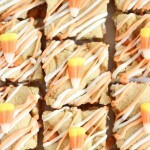 Buttery and rich white chocolate blondies get a Halloween makeover with the addition of candy corn! 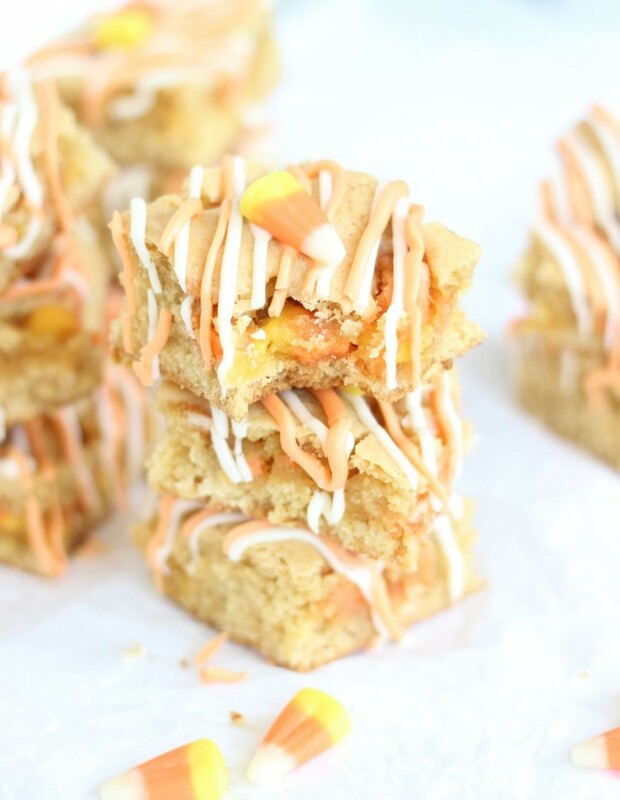 Candy corn is such a quintessential fall and Halloween candy, so it’s fun to include it in baked goods, but it’s a little tricky to incorporate into baking (more about that later this year in my recipe fails). 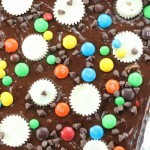 It has a tendency to turn into sticky goo when baked, and not in a tasty and delicious way. 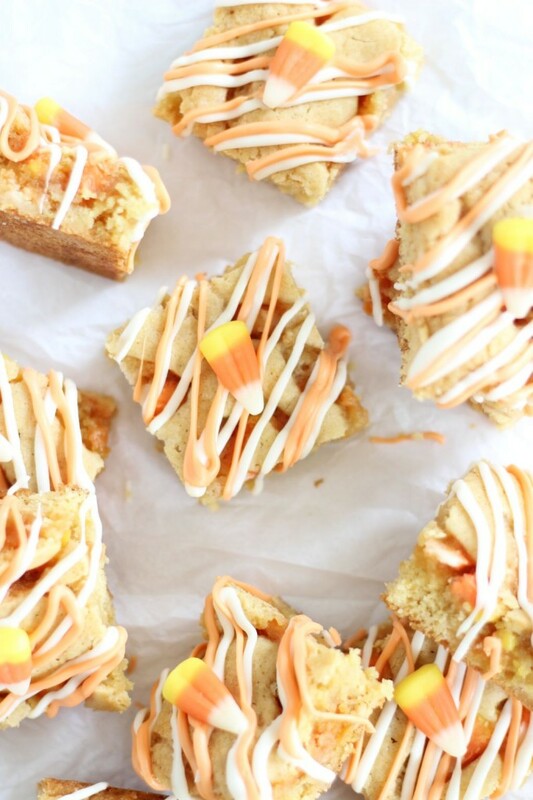 It’s still workable to bake with candy corn, but there’s a few tips that must be practiced. Actually, the main tip is to never let it sit directly on a baking pan, and you should be good. It melts and sticks like glue. 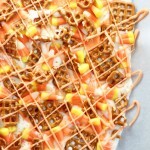 When I use candy corn in baked goods, just make sure that when you mix it into a dough or batter, that none of the candies touch the bottom of the pan directly. 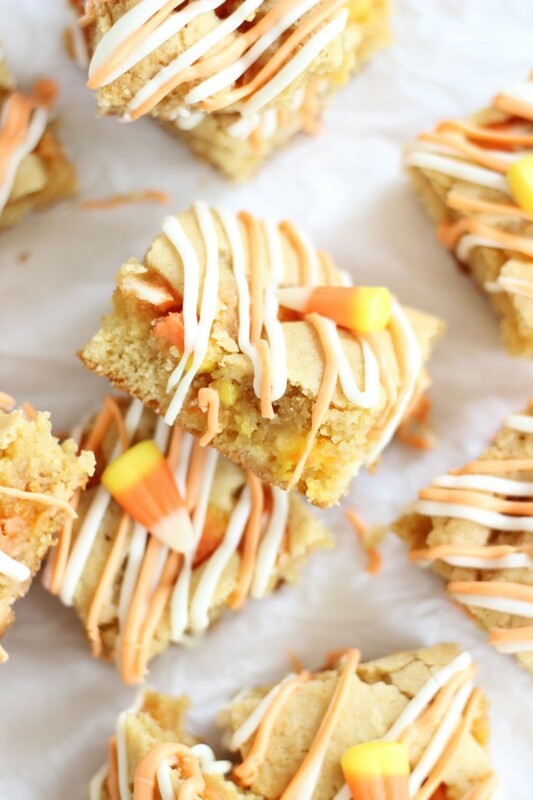 Case in point: these Candy Corn White Chocolate Blondies. 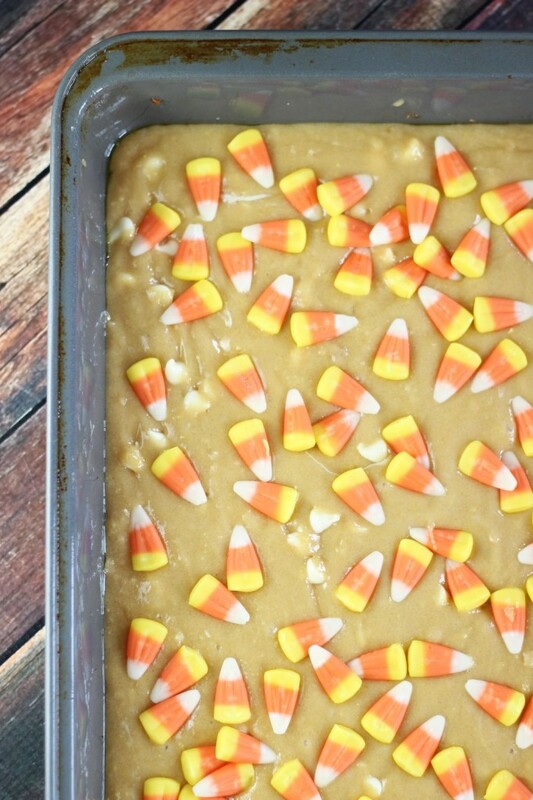 You’ll spread the entire batter into the pan, and then you’ll sprinkle it with candy corn. 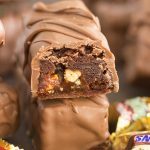 The candy doesn’t even get mixed in before baking. 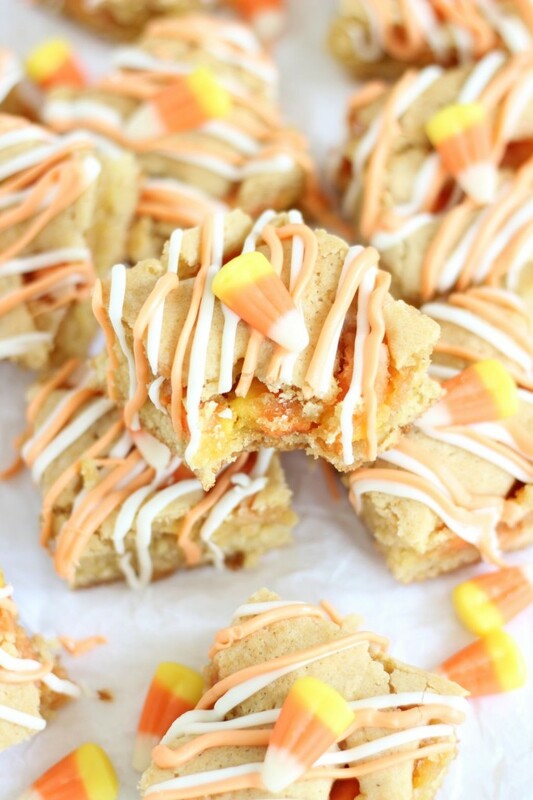 As these bars bake, the candy corn sink quite a bit, so they still end up enveloped in batter, but they also have a buffer at the bottom so they don’t stick to the pan like glue. Make sense? Even if it didn’t, just take my word for it! The batter for these blondies has white chocolate melted right into it, and is mixed up with plenty of butter and brown sugar. 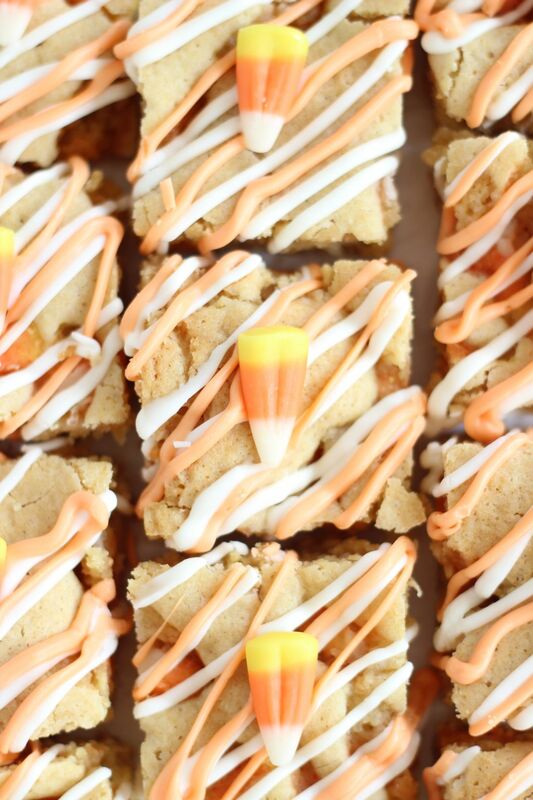 Rich, buttery, and super chewy blondies. 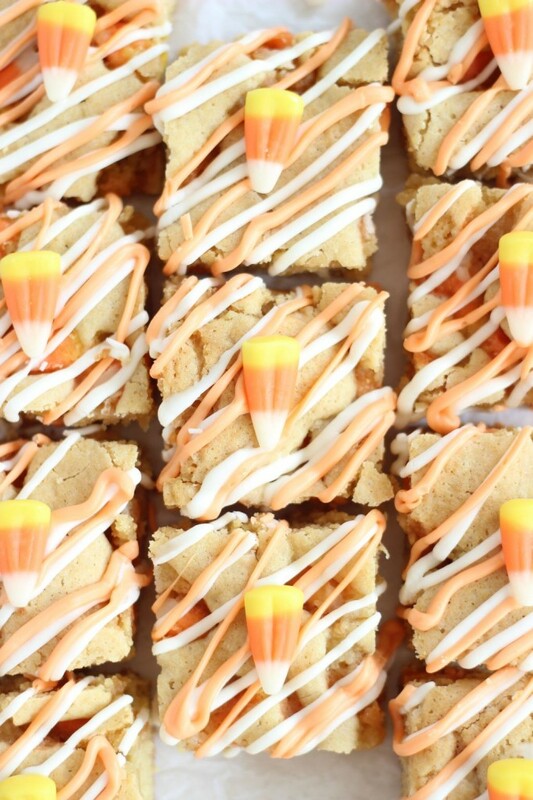 Throw in more white chocolate, a boatload of candy corn, and a drizzling of still more chocolate, and you have a real winner here. 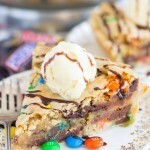 You need to have a serious sweet-tooth for these, but I’m assuming you wouldn’t be reading here if you didn’t?! 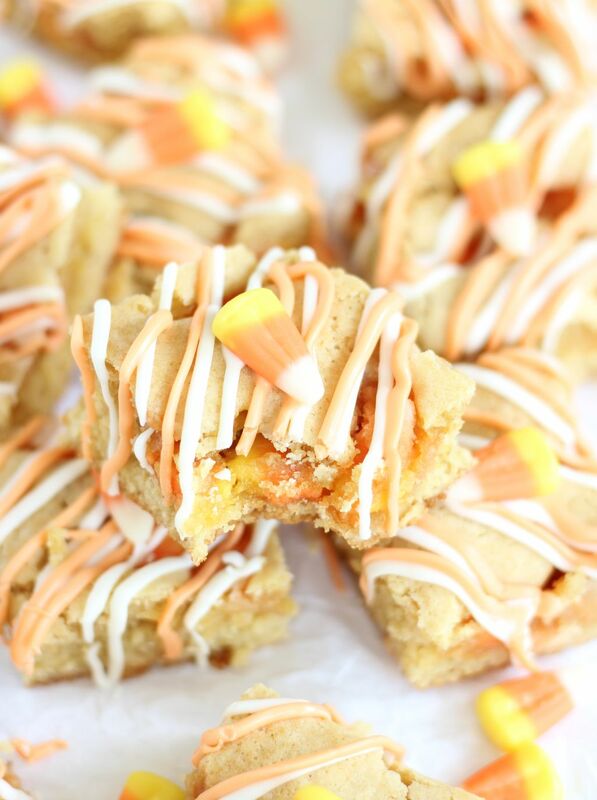 Sprinkle the batter with the candy corn, and do not even press them into the batter. As it bakes, they will sink significantly!! Bake at 325 degrees for 20-25 minutes, or until edges are golden brown and a toothpick inserted near the center comes out clean. Remove to a wire rack to cool completely, and cut into bars. 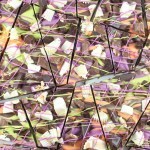 Drizzle with melted orange and yellow chocolate wafer melts, or white chocolate, if desired. Oooo these look so good, thanks for sharing your recipe on #OMHGFF this week, appreciate your visit!! Hi Sarah, Looks so yummy. Pinned & shared. Thanks for joining the Inspiration Spotlight party. See you again soon.